The friendly techs at Appliance Repair Wayne are committed to providing exceptional washing machine repair service in Wayne, New Jersey. You will not find another service provider in this community that will provide the same quality of full service washer care that we will. Our washer service begins with the right attitude. When you love what you do, like we do, it will become evident in the results provided. Our devotion to our craft is self evident. 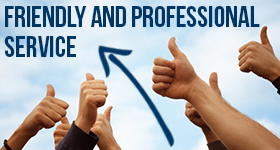 You will experience our passion for providing a service that makes a difference every day. Our washing machine repair service is designed to be quick and efficient. Every one of our technicians is factory trained on a wide array of washers, dryers, and other home appliances. The combination of years of experience and accumulated knowledge has made us one of the most respected appliance service providers in the region. Your washer plays a vital role in the daily home operation. You need to know that if it breaks down that you have a dependable plan of action in place. The best plan is to keep the Wayne Appliance Repair phone number on speed dial. When we say we offer complete washer care we mean it. We offer everything from washer installation and laundry machine repair to laundry machine maintenance service. Our experts install washers of all types for those who find peace of mind in professional service. If washer hoses are not connected properly they will leak. We ensure a tight and leak free connection. Our friendly specialists will also provide cost effective maintenance that will head off many laundry machine problems. Our goal is to ensure you get the most out of your washing machine. Everyone at Appliance Repair Wayne is devoted to making sure you are 100% satisfied with the customer service you receive. Call us first for superior service on your laundry machine.